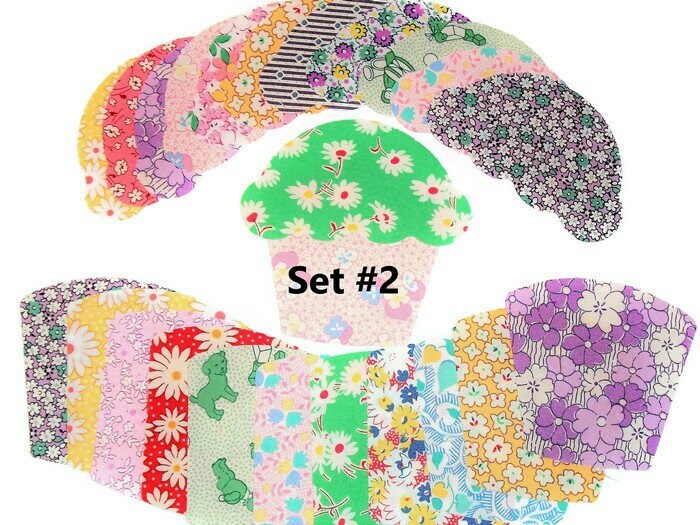 Set of 12 Cupcake appliques die cut from 1930's reproduction fabrics. Made with high quality quilt shop fabric. Tip: The cupcake top also makes a great scoop of ice cream! The appliques are raw edge. Add fusible to the back for a quick iron-on applique. I like to add a black machine blanket stitch for a vintage look. 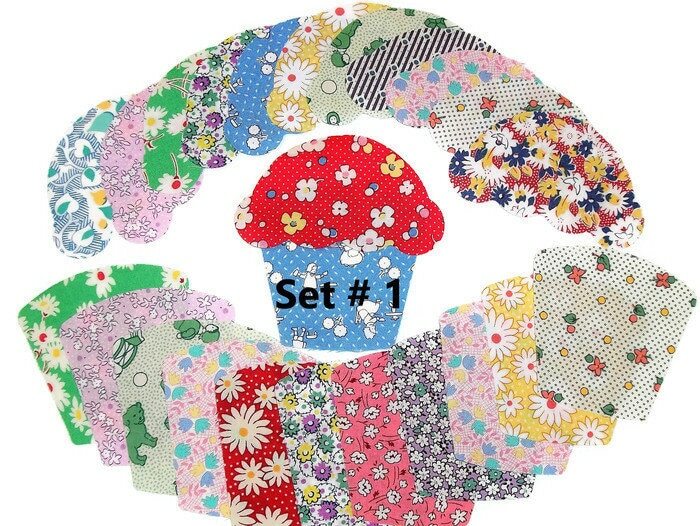 Each Cupcake (when appliqued to block) measures 12cm x 11cm (4.75" x 4.25").